Last week I talked all about the books I’m most looking forward to that are being released later this year. But today I’d like to talk instead about my favorite 2016 releases so far. Now I’ve read 35 books already this year and it turns out that only 10 of those were actually released in 2016. And I did enjoy all of them, but of course I did like some more than others. So I thought I’d do something that I usually avoid doing and that is to put them in an actual list going from number 10 (least liked) to number 1 (most liked). Anyway, I somehow managed to do that, so here are my top ten 2016 releases so far, counting down from 10 to 1! I feel so terrible for starting of with this book, because I did enjoy it. It was a fun and easy to read sci-fi romance. But the truth is, it also disappointed me a bit. I was expecting more from the plot, the characters and the romance. I really loved the plotline and the characters for this book. Also, great female friendships are ALWAYS a plus! However, I just could not get as immersed into the story as I wanted and that’s why it’s only number 9. I am however convinced that this will change with book two and that it has high potential to become one of my favorite series! A fantasy version of tsarist Russia where two enchanters need to duel to the death for the chance to become the Royal Enchanter – this sounded awesome even before I read it. And it is really awesome! Loved the world, loved the plot and loved the characters. Only downside was that it included two of my least favorite tropes: instalove and love triangle for the sake of drama only. Time Travel! Pirates! Yes, please! I was highly anticipating this book and it did not disappoint. The writing was absolutely gorgeous and the characters extremely lovable. I loved it a lot and can’t wait for book two, Wayfarer. Only downside was the slow start and the rather confusing ending. This was my favorite book in the entire trilogy and I thought it was the perfect finale. The writing was beautiful, I adored the characters so much and the book had me on the edge of my seat almost the entire time. Also, the romance! Also, the bromance! (Can’t decide which I liked more). This book made me love Snow White, my least favorite of the popular fairytales, so that’s saying something. I simply ENJOYED reading this book so much, it was the perfect mix of fantasy, adventure, retelling and romance for me. I cared about the characters immediately and intensely and I just liked this book so much. I loved this book. It exceeded all my expectations. It was fast-paced, action-packed, mysterious and funny. I fell in love with the characters. The ending broke my heart in a thousand tiny little pieces and I can’t believe I have to wait another year to find out what happens next. This series is one of my all time favorite series and I happily go around recommending this series to every person who dares make eyecontact on the street. (I don’t really, but I REALLY REALLY WANT TO). This was the perfect finale to the perfect series. I don’t think you can read this without falling madly, deeply in love with Damen and Laurent and their story. It was a close one, but in the end this book just HAD TO BE NUMBER ONE, because the book hangover it gave me was MASSIVE. This book was everything I dreamt it would be and so much more. Sarah J. Maas is a goddess and I will happily devour anything she writes. The world is amazing, the plot is perfectly paced, the characters feel so real and the romance is just sooo good! ALL THE STARS to this book! What were some of your favorite 2016 releases? Do you have some of the same books on your list as me? I liked Starflight okay, I think my expectations were just too high… Hope you’ll enjoy it though! YAS! 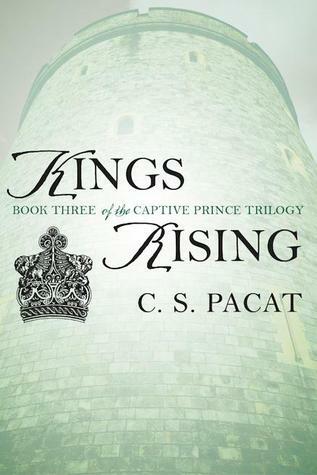 I had no idea King’s Rising was a 2016 release or I would have included it in my list! That series is amazing! Like you, I put books I loved on the list, but also books that I thought were just okay. It was released so early in the year that it already feels like it was ages ago 🙂 I need some more Damen and Laurent, it’s already been way too long! Pretty much all of these are on my TBR even though none of them are contemporary and I usually read only contemporary. 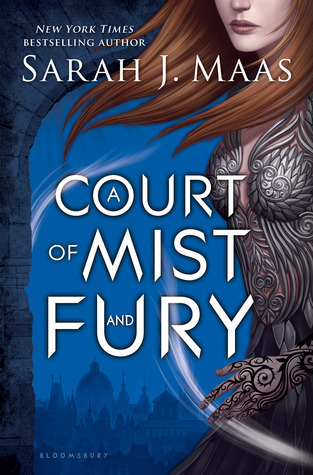 I am really curious of the A Court of Thorns and Roses series, but I have heard that it has something to do with faeries/fae and books like that are usually NOT MY THING AT ALL. I’m reading ACOMAF right now and ugh it’s so, so good. I’m torn between wanting to fly through it and wanting to savor every word. So far I’ve managed to savor it but I only have a little bit left and I feel like the hangover is going to be immense! 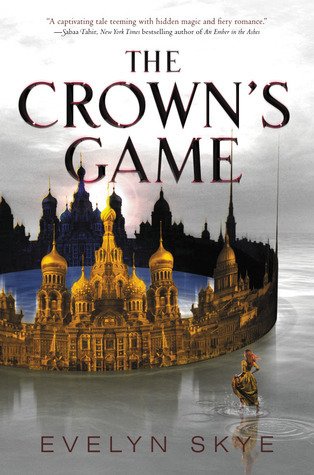 Also, glad to see The Crown’s Game on your list since it’s up at the top of my TBR but, not going to lie, I’m bummed to hear it has instalove. Hopefully all the other things will make up for it! I know EXACTLY what you mean about ACOMAF, I felt the same way! I didn’t want to stop reading, but at the same time I didn’t want the book to end too soon 🙂 And my book hangover was huge – I reread the entire book a second time immediately after finishing it. I’d definitely still give The Crown’s Game a chance. I usually really hate instalove, but I loved the rest of this book so much that I didn’t really mind. Hope you’ll enjoy it too! I didn’t feel the same way about Glass Sword, but I’m blaming Bone Marrow. Oops! I mean Mare Barrow. Enough with the Anyone can betray anyone. Lol. Great list! I understand completely, she was a bit extremely annoying 🙂 I still liked it overall though and have high hopes for the rest of the series. Oh man s I haven’t read ANY of these. I did try Glass Sword but I DNFed it. It made me sad because I loved Red Queen too. I do want to read Starflight and ACOTAR and ACOMAF at some point. Great list! 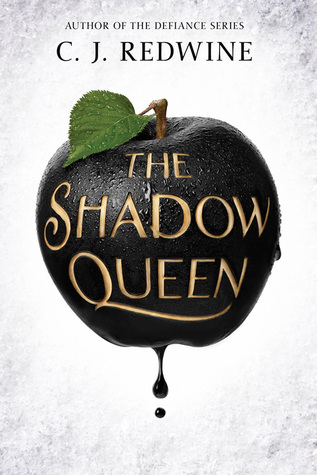 Lady Midnight was epic of shadowhunter proportions, and my thoughts were: <3<3<3<3<3 I need to read The Crown's Game, Passenger and Truthwitch. I though the Winner's Crime has Second Book Syndrome, but I might give it another chance since everyone has been raving about The Winner's Kiss. I also need to read Glass Sword since Red Queen left me MIND-BLOWN. Unfortunately, I didn't really like/detested ACOMAF 🙁 But I'm glad you liked it! Great list, and Happy Reading! Thanks! 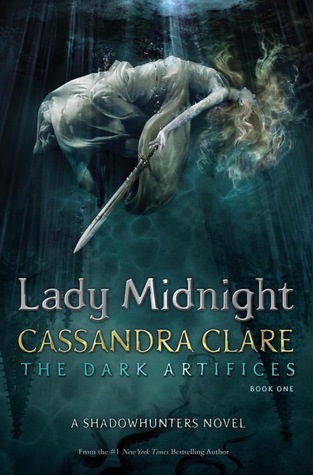 I agree completely wih your thoughts on Lady Midnight! 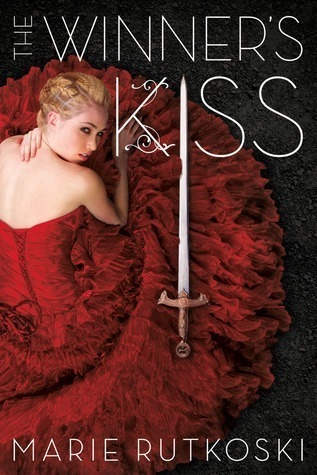 It exceeded all my expectations and I loved it so much 🙂 And The Winner’s Kiss was my favorite book in the series, so I definitely recommend giving it a try. Thanks! 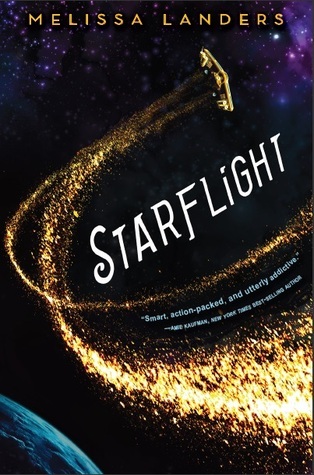 I was a bit disappointed by Starflight, but I think that was because my expectations were just too high. Hope you’ll enjoy it more! I haven’t read any of these yet ? All of them are on my TBR though, hopefully I can get to them soon. 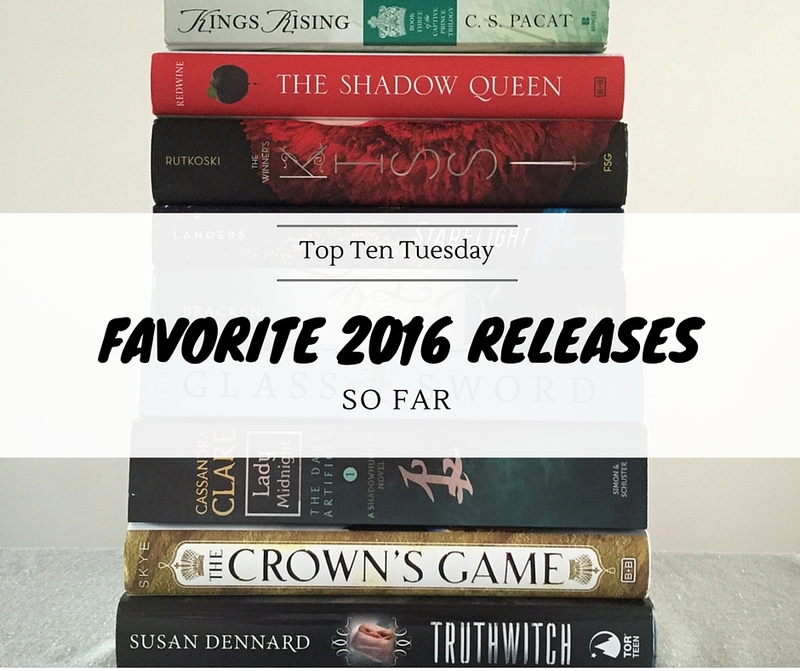 I’m especially excited to read Truthwitch and Passenger! 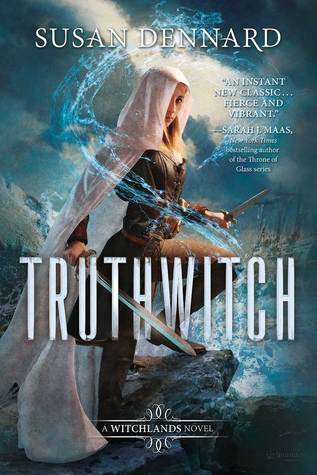 I loved Truthwitch and Passenger, hope you’ll enjoy them! 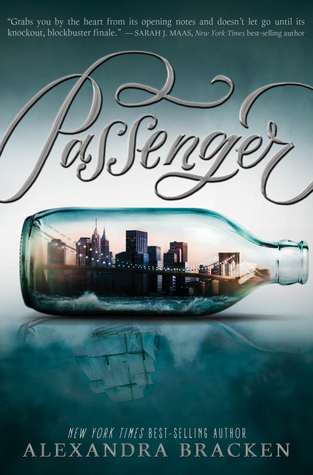 Passenger is a book I’m keen to give a read soon – time travel is such a fun element in a book. I haven’t read any YA time travel books as of yet. 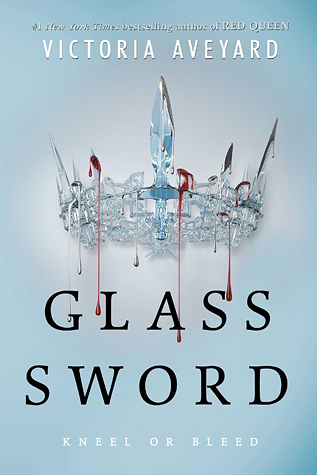 I really enjoyed Red Queen too (I definitely think we’re in a minority there) but have yet to read Glass Sword. It sounds silly, but when I went to purchase the paperback edition is was so much bigger in size (not pages, but length etc) than my edition of Red Queen that I didn’t buy it because they weren’t the same. Great, I loved Passenger, hope you’ll enjoy it too!